20% deposit required at time of booking. Balance due 3 weeks prior to arrival date. 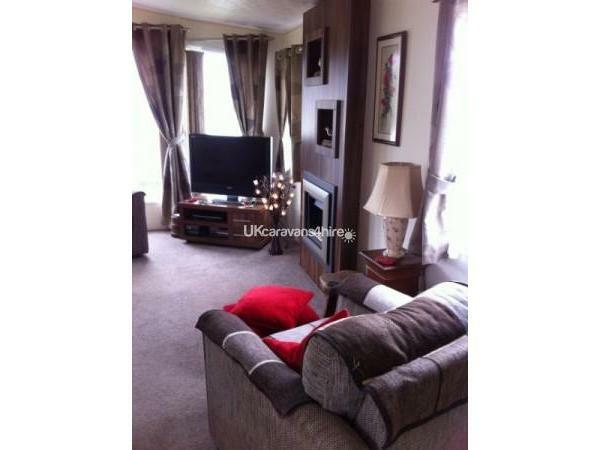 Delightful static caravan dressed to a very high standard. 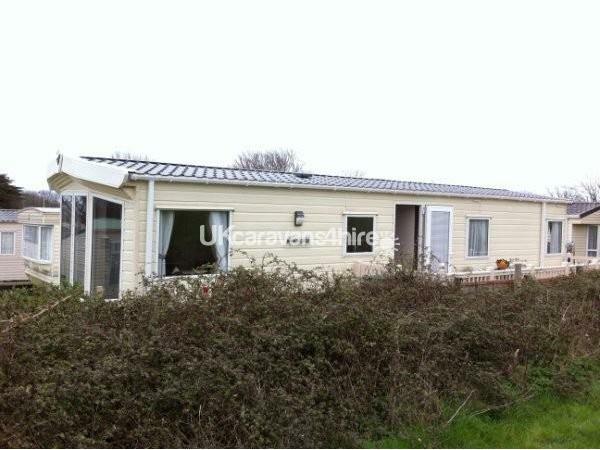 This delightful 2 bedroom caravan is situated on a quiet pitch close to St Mary's Bay, Brixham. Ramblers are spoilt for choice as there are many National Trust coastal walks to explore. 20 minute walk to Brixham Town centre and harbour (5 minutes by car or a bus service is available at site entrance) where you can enjoy a fishing trip or a ferry cruises to Torquay and the River Dart. There is a large variety of restaurants and pubs to suit all tastes. Ideally located, with Torquay, Paignton and Dartmouth all within easy reach or why not try the Round Robin trip whereby you travel by steam train, ferry and bus. For any keen golfer's a golf course is nearby. With children in mind, crabbing from Brixham harbour is a must. Additional Info: On-Site Pub/Club, Crazy Golf, Indoor Pool, Kids Club, Membership pass included in price. Mary Ellen thank you for taking the time to write such a lovely review, I am so pleased the boys enjoyed their stay and it would be really great to welcome you all back again, take care. Patsie. Absolutely brilliant 5 star caravan. Clean & comfortable , It's a real home from home with many unexpected touches. The kitchen comes fully equipped with everything you would need and even includes a slow cooker which I used a few times. patsie really does pay attention to the detail which makes it special. The deck area is secure , private & real sun trap. 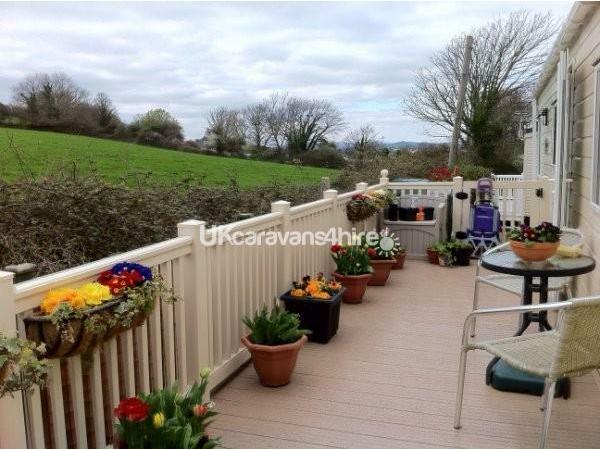 The caravan is in a quiet position with views of fields from the deck , but only a 5 min walk to the parks facilities should you want to use them. The holiday park is a 5 min walk out onto the south west coastal path. Amazing views to be seen . The location makes it a good base to explore Plenty of beaches, coves , sightseeing & activities . It's a good bus service to get around as well. I used the bus a couple of times after doing stretches of the coast path for a few miles but getting the bus back to car parks. 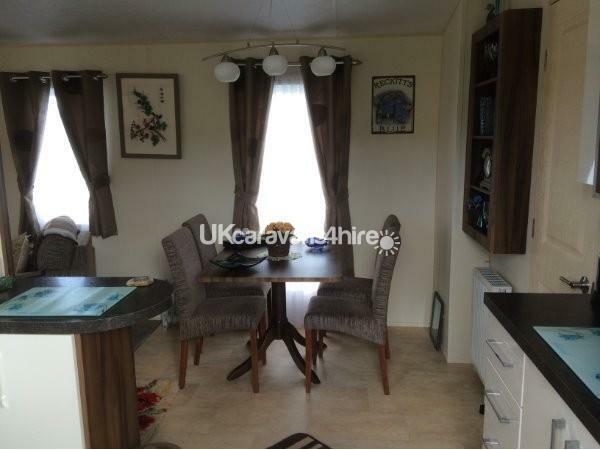 Overall it's a really lovely immaculate caravan on a clean & well kept park. Big Thankyou to patsie & Geoff for all their efforts. I am definitely returning next year, I feel like I struck gold with this bolt hole ! Yet another stay in this fabulous van!. Patsie and Geof do everthing to make your stay comfortable. The Cows visited again on several occasions, and the owl we heard most evenings. Even seen a roe deer, and a glimpse of a badger. We have booked again for next year. If you are thinking of booking dont hesitate you wont be dissappointed. We had our first family holiday in this lovely caravan and we all had an amazing time. A home from home experience. Patsie and Geoff made us feel at home straight away and left us some wine, beer and milk in the fridge! They even got our twins a soft toy. This I found was a really thoughtful thing to do. They left useful information leaflets about where to go. 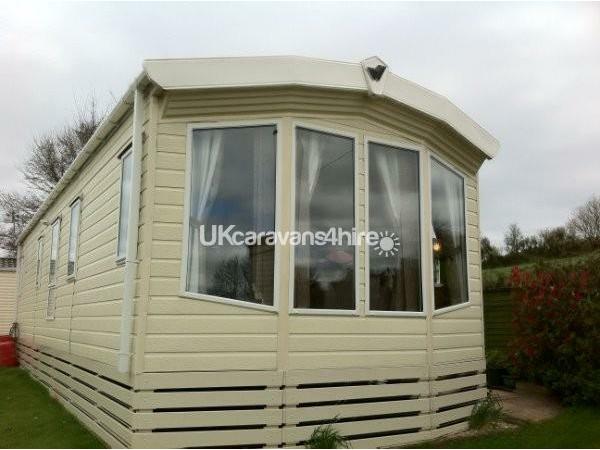 The location of the caravan is fantastic- close to Paignton and Torquay. We’re looking to book up for next year- as a week wasn’t long enough to squeeze everthing in- and we did a lot!!!!! Thanks Patsie and Geoff for letting us stay in your lovely caravan. 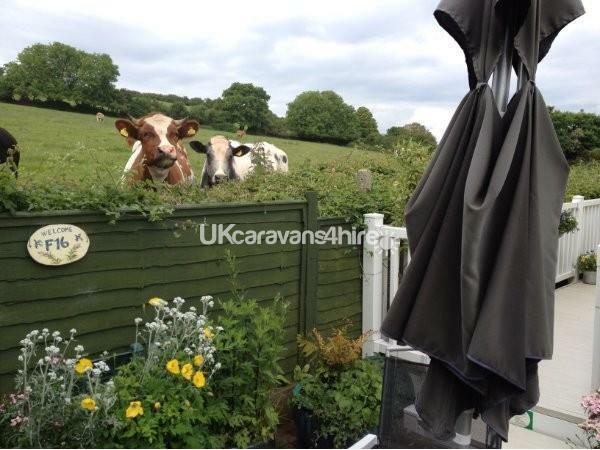 We have just returned from a weeks holiday in this wonderful caravan, it faces an open field with very sociable cows that come to visit on a regular basis. We were met by Patricia who went through all the details with us, it was immaculate and furnished to a very high standard with everything you could need. 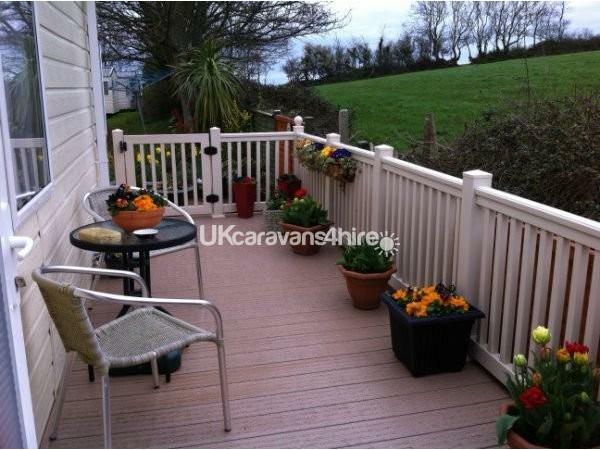 South bay caravan park has all that is required for a good holiday and is very well situated for Brixham. The site is served by a regular bus service which takes you directly into the town, we cannot fault our stay and we will certainly visit again, thank you Patricia for a great holiday. This holiday home is the best we have ever stayed in, the accommodation is luxurious, immaculate, comfortable and relaxing. It overlooks a beautiful meadow frequented by friendly cows, it is a real delight to stay In this beautiful home. Patsie, the owner is the most welcoming host you will ever meet and a real pleasure to deal with, both accommodating and considerate. 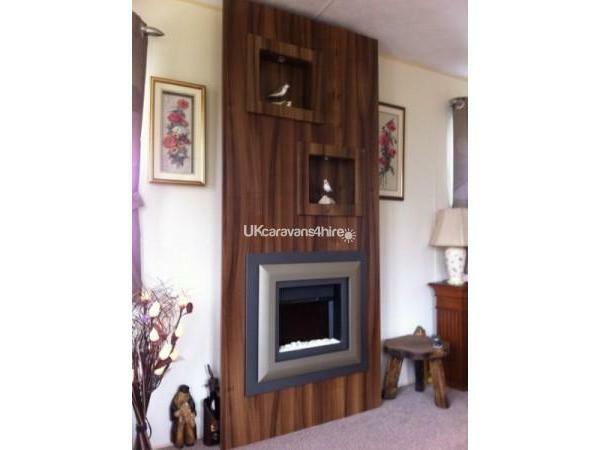 I really can not recommend this home enough, it is truly a rare find! Sally and Rod it was so nice to meet you both, and thank you for taking the time to leave such a lovely review, I am so pleased you had enjoyed your stay and I hope that if you ever return to this beautiful part Devon I shall meet up with you again x Patsie. What a lovely fine. Having holidayed in vans for many years, we can say its the best, well kitted out clean and fabulous location. Patsie was very informative and the flowers, wine, and beer for Garry and myself was very much appreiciated. It was lovely to see the cows in the fields, and swallows, and of course hear the owl evenings. We will be back I'm sure! My family had a great week in this holiday home, I just wish it could have been longer. Traffic made us late on arrival (argh!) but Patsie stayed to welcome us personally which was very considerate. We were touched by the welcome gifts too, not expected, a very thoughtful start to the holiday. 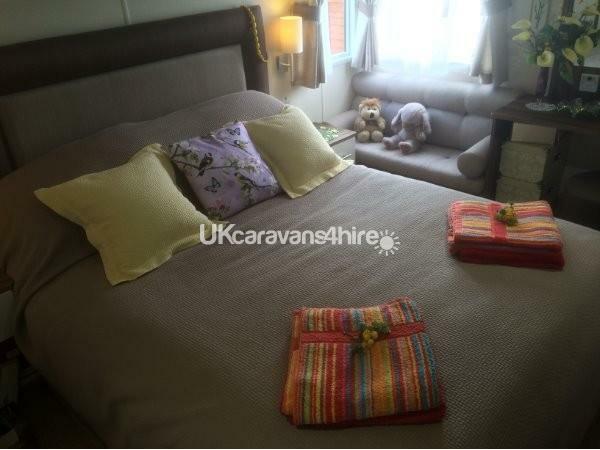 The caravan itself is extremely comfortable and fitted with all mod cons. The site club is really nice too with entertainment every night if you wish to visit. 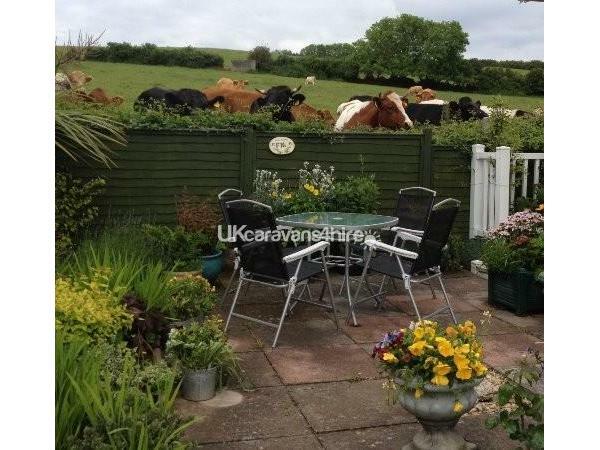 The location is perfect, to wake up daily to a beautiful view (complete with cows!) is very calming. Brixham is a really lovely place and there are plenty of places of interest to visit in the area. Wholeheartedly recommend! Having stayed in caravans across Devon and Cornwall over the years we have to say this caravan is the best. Because it is comfortable, private, really well kitted out and mostly because of the lovely hosts. Patsie, thank you for caring about our holiday and doing so much to make it special. I always say a true test of customer service is when hiccups happen, and we had one (not Patsies fault at all) and the response was above and beyond. 5 ? have already recommended and will be back. Patsie and Geoff enhanced our holiday with their lovely caravan which was beautifully accessorised internally and externally. All of the personal touches and welcome goodies were very much appreciated. 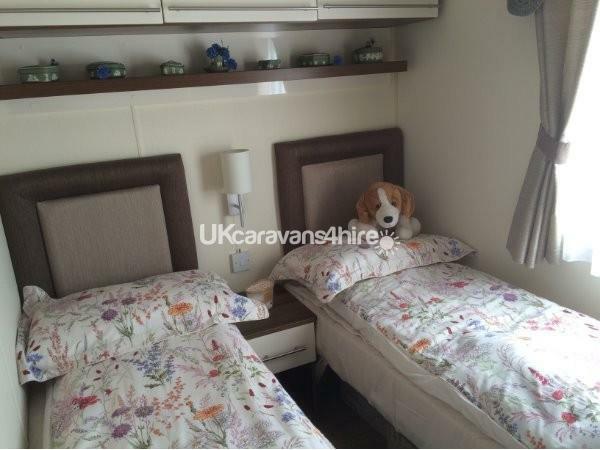 Caravan was extremely spotless, spacious, very comfortable and the kitchen was extremely well kitted out! The outlook over the surrounding countryside which backed on to the beautiful enclosed very private verandah was enjoyed daily while eating al fresco. I can't say enough nice things about this particular holiday home. The holiday site was perfect for families. It had everything a young family could wish for. Equally it would suit mature couples of which we were! Very highly recommended. Thank you Patsie for letting us stay in you lovely holiday home. Your warm and friendly welcome and lovely treats made the start of our holiday perfect. We could not have asked for more...everything you could need and more was provided. We felt very relaxed sitting in the sun trap watching the cows after a busy day out and the best views we have had while washing the dishes. 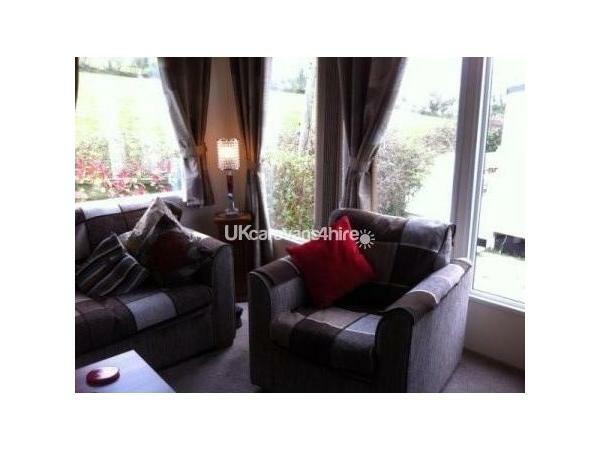 The holiday home is very cosy too so when the weather was not too good we enjoyed relaxing inside. Should we return to this area we will definitely book to stay again. Many thanks. Dear Mike,Emma, and Ben,It was so nice to meet you all and thank you all for such a lovely review, should you ever choose to return to Brixham I should love to welcome you all back,Thank you for booking with me/Patsie.